Think of your website as a garden. When you first plant a garden, everything is neat and tidy. But if you fail to tend to your garden, never pulling the weeds, never watering or feeding your perennials, then chaos will soon reign. The weeds will take over, the blossoms that once flourished will hang dead on their stems, and the only attention you'll get is from your homeowners’ association. This is what happens to websites; good content, even new content, doesn't get the attention it deserves because of all the outdated, keyword-stuffed, weedy content languishing on the site. Neglected for too long, with zero page views, the content can clutter up your site and affect its performance: bogging down the crawlers and load times. If you’ve been neglecting your content, you need to take action—pull the offending content and toss it into the compost bin or, if it is deemed savable, dead head, fertilize, and water the pieces, thereby putting them in their proper place—directly in front of prospective clients. Google likes it when you clean up your site and update old content. Its content crawlers recognize that you are working to meet the ever-changing needs of your audience, and if you update in a meaningful way, Google will reward you handsomely. The following guide will show you exactly how to perform a content audit, walking you through the process step-by-step. Step 1. Download Google Analytics data for web pages that have received visits. Login to Google Analytics and go to Google Analytics > Behavior > Site Content > All Pages. Click the date range drop-down at the top right-hand side of the screen, choose Custom Date Range, enter the begin and end dates, and click Apply. (For example, if today is January 26, 2018, and you want to look at data for the previous year, use this date range: January 26, 2017 – January 25, 2018.). Scroll down to the bottom right-hand side of the page to Show Rows. Click the Show Rows drop-down and choose 5000. Scroll back up to the top right-hand side of the page, click Export, then click CSV (comma-separated values). Step 2. Format Google Analytics data. Open the Google Analytics spreadsheet you created. Delete rows 1 – 6. Insert a column before and after column A (the Page column). In the new column A you just created (the one to the left of the Page column), enter your website address in row 2 and copy it all the way down the column. For example, our website address is https://www.fosterwebmarketing.com. Note: Don’t include any characters after .com in your web address. In the new column C that you just created (the one to the right of the Page column), type in the following formula in row 2 to concatenate your website address to the rest of the article URL: =A2&B2. Then, copy that formula all the way down to the end of your data in column C.
Highlight column C (the entire column), right-click, and select Copy. Then right-click again, and choose Paste Values. Add a column heading to column C. We typically use the same name as column B, which is Page. Delete columns A and B (column C now contains everything you need). Scroll down to the bottom and delete any rows that don’t contain a URL. Step 3. Download a full site content export from DSS. Navigate to Content > Admin > Full Site Content Export. Click Content Export. DSS will create an Excel spreadsheet that contains data from every page on your website. Step 4. Format the full site content export spreadsheet. Open the full site content export spreadsheet and hide columns B (DSSURL) and Q (Body). Add Pageviews as the heading for column R.
Step 5. Combine site export and Google Analytics data. Make sure both of your spreadsheets are open (the full-site export spreadsheet and the spreadsheet that contains Google Analytics data). In the full-site export spreadsheet, place your cursor in column R (Pageviews), row 2. Click the Excel formulas tab (the menu at the top of the page). Click the Lookup & Reference icon. Choose VLOOKUP. This will open the function arguments pop-up box. Enter the Lookup_value by clicking the cell in column E (Page), row 2 (it contains the URL). Then, click the table array box, flip over to the spreadsheet that contains the Google Analytics data, and highlight all of column A and column B. Enter a 2 in the Col_index_num box and a 0 in the Range_lookup box and click OK. Excel will take you back to the spreadsheet that contains the full site export data. Copy the VLOOKUP formula you just built all the way down column R.
Highlight column R (the entire column), right-click, and select Copy. Then right-click again, and choose Paste Values. Step 6. Identify pages that have not been viewed. Filter on column R (Pageviews), choosing cells that contain #N/A. These are the pages on your site that did not show up in the Google Analytics data—meaning they have not been viewed in the last year. Step 7. Decide whether you should update or remove pages that have not been viewed. While it may be tempting to delete every piece of content that hasn’t been viewed in many moons, deleting content on your site is not a decision to be entered into lightly. Google rewards websites for updating old content, especially when the revamped content is rich and answers the questions people are asking. Is it in line with my overall site focus? Is it basically okay, but stuffed with keywords or over-optimized? If a content piece gets a YES to even one of these questions, it’s a good idea to go ahead and update it. To make each piece count, you must update your content thoughtfully and carefully, keeping your ideal client, patient, or customer in mind throughout the entire process. First, look at your title tag and meta description. If it looks unnatural or boring (example: “Dallas Accident Attorney | Broken Leg Car Accident”), update it. Pro tip: Think like your ideal client, and be sure that your title, meta description, and headline catch the eye of the searcher and promise useful information. Identify and correct all spelling and grammar errors. Pro tip: For the best results, hire a professional copy editor to proofread your content. Remove any unnatural or repeated keywords. Pro tip: Think in synonyms when strategically placing a few, natural keywords. Alternate attorney with lawyer, foot doctor with podiatrist, etc. Revamp your piece to ensure that it thoroughly answers the question on the reader's mind. Your body copy must correspond with your title and meta description, or it will drive readers away before they get past the first sentence. You must deliver what your title and meta description promise. Pro tip: Do not hold yourself to a certain word count. The longer, more in-depth, and informative your content is, the better it will perform. Google wants to give its users the best answers possible, so make your answer better than the other guy's. Edit again! Because you just can't be too careful when it comes to your content. Share it! Many factors could have caused your content to perform poorly, so give it another go by promoting revamped pieces on social media and in your email newsletters. Pro tip: While you’re sharing the new content love, don’t forget to tell Google. By resubmitting your reworked pieces to Google Index, you’ll have a better chance of being rewarded for your efforts. Next, you’ll need to track engagement. If your content still isn’t attracting attention, you may need to remove the piece or rework it once again. If you’ve decided to go ahead and delete pages—pages that can’t or shouldn’t be saved—great! Slashing weedy content will help your site’s ranking, as long as you properly execute a 301 redirect. If you don’t know what this means or how to do it, you should ask your webmaster. Any webmaster worth his salt should be able to easily perform a 301 or 302 redirect. Performing a 301 redirect is important—without one, anyone who visits the deleted page will run into a dreaded 404 error page. A dead-end page like this compromises the reader’s experience, appears unprofessional, and sends the wrong signal to Google. So don't be tempted to skip the 301 redirect step, even if the page has never been viewed. Don’t take a chance—redirect deleted pages properly! But where to redirect? Whatever you do, don’t redirect to your homepage. Google doesn’t like it and neither will users who get directed to your homepage when what they wanted was specific information on their rights to deny a breathalyzer test—or whatever search term they used. First choice: Redirect to a relevant, related page. We suggest that you repeat this process periodically. If you don't mow the grass and pull weeds regularly, it will take you days to get your yard under control. But if you are diligent and take the time to weed and feed on a regular basis, the process will be quick and painless. The same is true for your website. We hope this information will help you spring clean the content on your site. 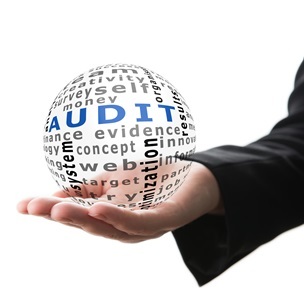 To learn more about the hows and whys of content audits, listen to our webinar, The Importance of Content Audits and How to Do Them Well, or call Foster Web Marketing at 888-886-0939. Still Not Sure That You Want to Delete Your Old Content?